All registered students are booked into Pennsylvania Court (bed & breakfast accommodation). We expect that all of you will check-in on Sunday afternoon before ~6pm at Lopes Hall. The Hotel is 10-15 min walk from the LSI Building. A campus map can be found here. 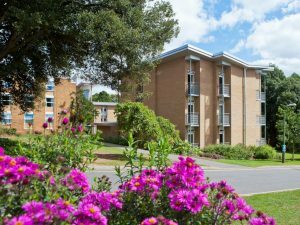 Nestled within a flower garden, Pennsylvania Court offers campus accommodation located just outside Exeter’s city centre. Free WiFi access is available in the rooms. Each room features a student study bedroom design and has a wet-room style, en suite bathroom with a shower and free toiletries. The rooms also offer tea and coffee making facilities, a mini-fridge and a safe. There are no TVs and all rooms are non-smoking. 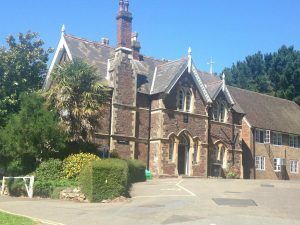 Free private parking is possible on site (subject to availability) and the property is less than a mile from Exeter Cathedral. You can walk to the city centre in around 20 minutes. Pennsylvania Court operates 24-hour security onsite and CCTV. On the day of your arrival you may check in to your accommodation from 3pm onwards. Please check in to Lopes Hall reception (see Area B on the Streatham Campus map). If you arrive early, you may contact reception to request luggage storage until your designated check in time. This service is also available after checkout. The reception desk will be open from 8am until 10.30pm during your event. If you know in advance that you will be arriving after 10.30 pm please telephone the Event Exeter: 0300 555 0214. Please return your keys to Reception (Lopes Hall) and vacate your room by 10.00am on the day of your departure. Breakfast will be taken at Lopes Hall.